The kit consists of a bellhousing and flexible drive coupling that are fully machined to suit the pump and engine interfaces. 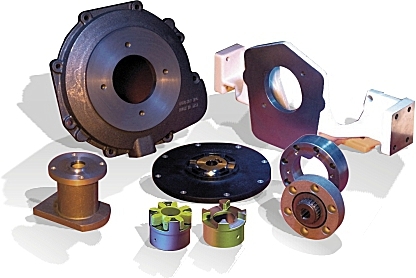 Front mounting adaptors provide an additional PTO position for air cooled engines. JBJ have also developed a complete range of hydraulic adaptors for use with industrial petrol engines.